Find calm, it’s worth it. 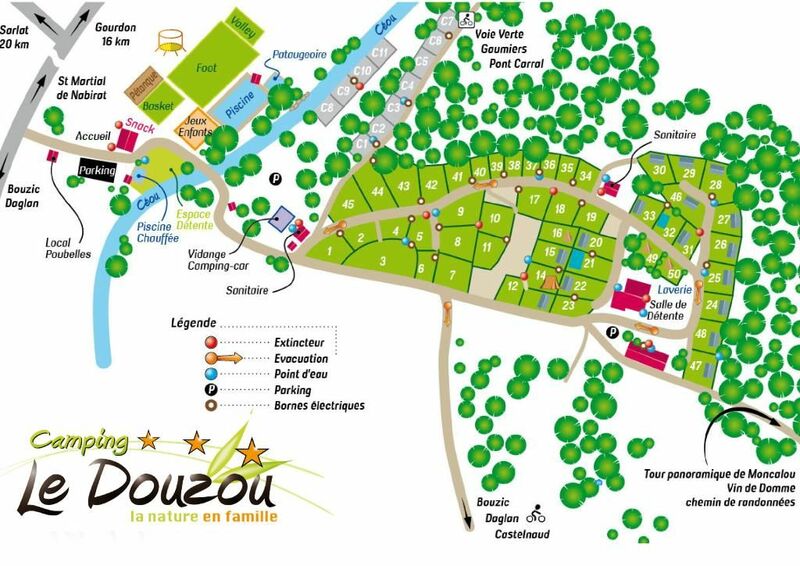 The Douzou is in a nature preserved far from any major harmful axis. 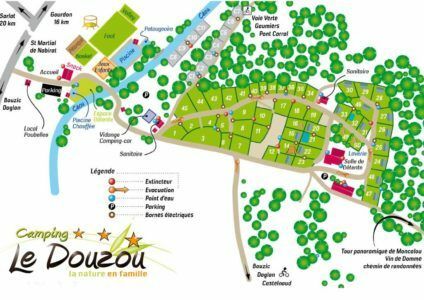 To come to your place of residence, do not follow your GPS, follow the map and finally the road signs “camping Le Douzou” 4 km before arriving. Eventually, just write Bouzic 24250 without further details. Do not pass by “Le Bugue”. From Périgueux, follow “Les Eyzies” on the D710, at the “des carrières de Faures” turn left on the D45 towards Sarlat and continue on the D47 until Sarlat. At the entrance of Sarlat, at the first roundabout, follow the D704 Cahors / Bergerac, at the 2nd roundabout follow the D46 Bergerac, at the 3rd roundabout straight, at the 4th roundabout follow the D46 Fumel, Vitrac, Cenac . Stay on this road, pass the village of “Cenac and st Julien” always on the D46, then you have 15 min until the campsite on the commune of BOUZIC 24250. Welcome to the Douzou. Pass Gourdon following Fumel D673 and stay on the D673 to the place called “Pont Carral”, turn right after the fixed radar direction “Domme, Daglan, St Martial D6”, stay on this road, you enter the Dordogne. After the castle of Repair dilapidated in height on your right, you have to turn left direction Bouzic D52 sign Camping Le Douzou. You already follow the river Céou to arrive at the campsite. Welcome to the Douzou.